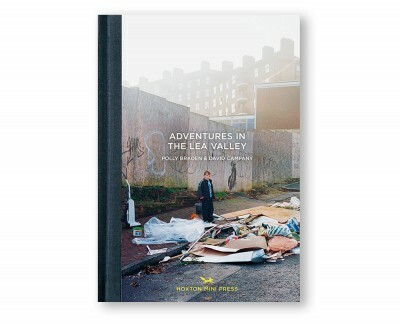 A fully cloth-covered Collector’s Edition of Adventures in the Lea Valley by Polly Braden and David Campany, presented in a bespoke cloth-covered clamshell box complete with signed and numbered limited edition print. This Collector’s Edition is limited to 150 copies. Polly and I began taking these photographs in 2004, the year we met. Polly was working on documentary projects for magazines and newspapers. I only ever made pictures when I wasn’t writing. Together we began to spend all our spare time in the Lea Valley. We explored mostly by bicycle with one camera, and one light meter between us. We followed the seasons. Polly was a portraitist of great empathy. I liked landscapes with strange incidents. We both admired the best street photography. Somehow we combined all those elements, responding to light, space, colour and chance encounters. For long days we cycled and talked, looking, staring, watching, observing. Within a few months we were making the kinds of photographs neither of us would have made alone. Adventures in the Lea Valley was shown as a 150 image, 15 minute digital slideshow at the Institute of Contemporary Arts, London as part of the programme London in Six Easy Steps, Summer 2005. It has been exhibited widely and published in many places including ICON magazine, The Guardian and The Independent.